When good employees quit, it can have a significant impact on many aspects of the business. From lowered morale to increased workloads, the entire team suffers. Factoring in the time and expense associated with recruiting, onboarding, and training a replacement, the transition becomes costly as well. In today’s low unemployment rate environment, employee retention is even more important than ever. 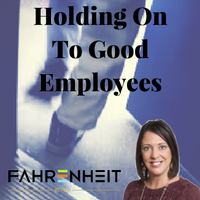 So, how do you keep employees engaged and avoid turnover? Better yet, how do you preempt your employee’s desire to even consider other employment alternatives? Remember, employees don’t quit their jobs, they quit the people on the team. Value — Each individual that makes up a team is different. If an employee feels valued by their manager, this can directly influence how the employee views his/her role and place on the team. If a company has a strong culture and corporate values that the team has bought into, then employees feel that they are part of a defined mission, and see themselves as critical to making that mission a success. Balance — We live in a connected world where we are always “on” and presumably available. The constant connection goes beyond work. Our personal lives are also always “on.” With these influences a new reality, employees want to feel they can balance the moving parts of their lives with their jobs and still feel productive. From telecommuting to flexible scheduling, many companies have adopted newer models to keep up with an evolving world of work. Organizations that recognize results (versus “face time” in the office) as the best measure of production will likely retain employees more consistently. Learning — Employees want to feel that they are reaching their full potential. It is important that managers provide their team with goals to attain, ensure they have the tools to reach those goals, and drive a culture of accountability. More than compensation, making sure the team has updated technology, training, and advancement opportunities can generate a great deal of excitement and loyalty. The war for talent is a very real thing in today’s market. Focusing on retention in these three key areas can produce significant results without tremendous added expenses. If managers can successfully engage employees and help them feel valued, prepared, and challenged, the outcome can be a long-lasting and profitable partnership.